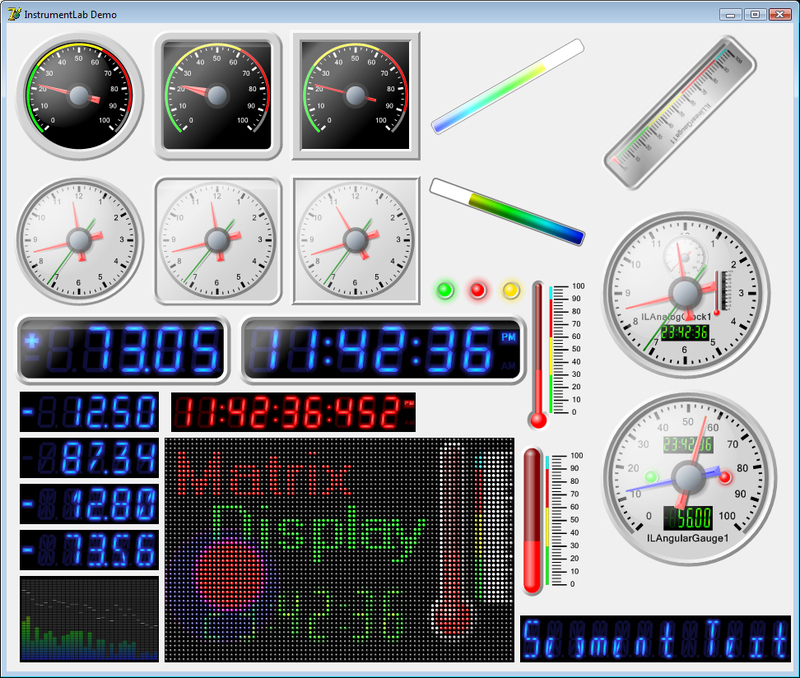 Visual C++ Visual instruments library - Contains Angular Gauge, Linear Gauge, Analog Clock, 7, 9, 14, 16 Segment Digital Gauges, Thermometer, 7, 9, 14, 16 Segment Digital Clock, 7, 9, 14, 16 Segment Text, 7, 9, 14, 16 Segment Indicator, Progress Bars, On/Off LEDs, Multicolor LEDs, Spectrum, Matrix display, Glass Panel, GDI+ rendered. Allows composite instruments. Free for non-commercial use.